Few things are more satisfying than a brand handling a potential public relations crisis with grace, aplomb, and humor. And all of those apply to this past week’s management of the Crock-Pot fire that (SPOILER ALERT) killed the beloved patriarch on the popular NBC series “This is Us.” The tragic plot twist caused simmering negative sentiment against Crock-Pot, starting as a “slow burn” that later caught fire on social media. A fictional death like the one involving Crock-Pot offers some unique challenges, as well as real opportunities. A starring role in a hit TV series, particularly at such a critical plot point, is something brands can only dream of, so of course Crock-Pot wanted to take advantage. Yet a beloved character dies because of a Crock-Pot accident (though, to be clear, the house fire on the show was due to faulty wiring), and it’s one that product owners might imagine could happen in their own home. What’s a brand to do? Read on for the breakdown. Where’s your crisis PR readiness? All brands need to start here, of course. But is it enough? Odds are the Crock-Pot team has a crisis communications plan in place, and it probably includes contingencies for real-life product malfunctions or accidents. But how many crisis plans would have foreseen a fictional accident like the “This Is Us” scenario? In the digital age, today’s PR specialists need to take a broader look at what constitutes a reputation crisis and build in rapid-response tactics and an internal communications protocol. But more importantly, a crisis plan is only as good as its leader. The single most important piece of preparation for any brand is a communications head and team who can think on their feet and offer smart strategy in real time. Make sure your social media channels are up to date. 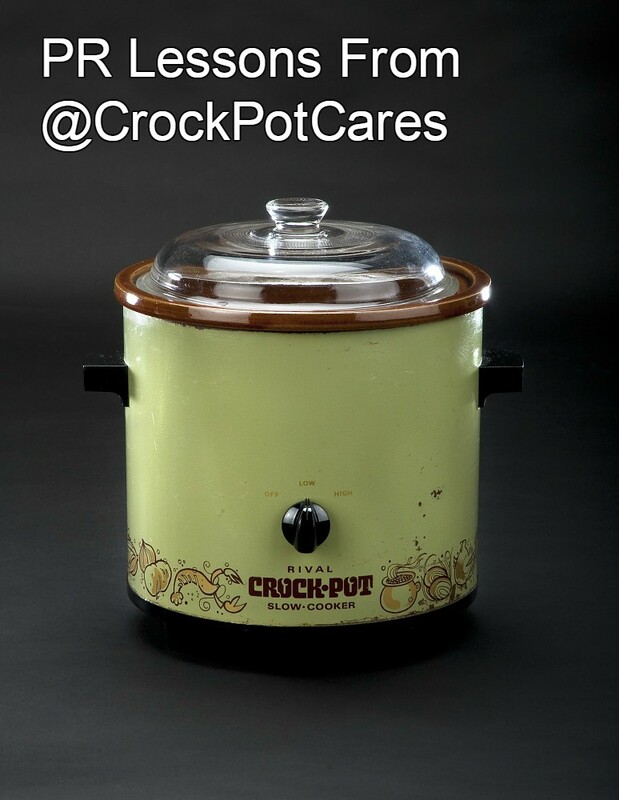 Believe it or not, before the “This Is Us” episode in question, Crock-Pot didn’t even have a Twitter account. Although Twitter isn’t exactly the best mass media platform for a kitchen appliance, it’s hard to imagine any popular brand choosing not to be there, since that is where the social community – or in this case, the mob – responds to pop culture events. But, to its credit, Crock-Pot acted quickly on social media, creating a Twitter account within hours. It also used Facebook posts and issued a traditional press release on the incident that was met with a warm response. The lesson is to be ready, but, more importantly, to build a community of friends and fans before it’s needed. Tracking online reputation is a must for communicators, just as monitoring a boiling pot is for cooks. So, while the brand may not have had a Twitter account before it set up @CrockPotCares, someone was minding the channels. While semi-hysterical fans were calling for customers to toss their slow cookers, the brand was able to whip up a swift and measured response. It released a statement reassuring customers that Crock-Pots are safe, with factual information. “This Is Us” creator Dan Fogelman even joined in defending Crock-Pot with his own tweet. Sensing a lighthearted moment, Twitter users rallied to the brand, and several variations were soon trending, including fan favorite #CrockPotIsInnocent. According to Business Insider, since the slow-cooker episode of “This Is Us” first aired on Jan. 23, digital content engagement around Crock-Pot has increased by 154%. The quick response and its follow-up are also credited with spurring nearly 2,000 #CrockPotIsInnocent tweets on the first day, with a 57% positive sentiment around that hashtag. The most common sentiment? It was hilarious, as well as a brilliant promotion for Crock-Pot. Use the right tone to get consumers – and press – on your side. Given that no one really died and the whole thing was a digital tempest in a Crock-Pot, some brands might have simply ignored the noise. Or, they could have reacted angrily toward NBC. But the Crock-Pot team struck just the right tone, professing to be “heartbroken” over the TV death of the beloved Jack Pearson character, just as fans were. More importantly, it called on NBC and the show to get involved. “While we know their primary mission is to entertain — something they have continued to excel in — we also feel they have a responsibility to inform,” the spokesperson said. The sympathetic, non-accusatory, but informative tone worked well with NBC’s own support. 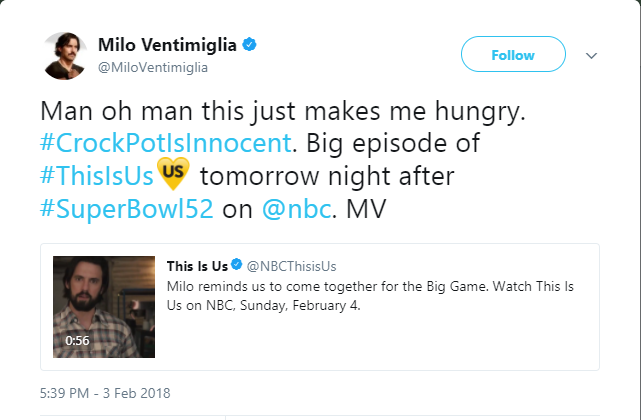 A humorous video with popular “This Is Us” costar Milo Ventimiglia that was featured on the Crock-Pot website promptly went viral. It’s impossible to buy that kind of coverage, of course. Use the incident to tell your story. Once the brand survived the initial controversy, the real PR fun began. Crock-Pot has been the star of “This is Us” themed stories ranging from simple recipes to fire safety across a variety of media not usually associated with a decidedly unsexy kitchen appliance. These include Vanity Fair, Entertainment Weekly, CNN, and Glamour. We’d really like to see the brand engage in an even bigger PR campaign. How about an exhibit of vintage slow cookers, an Instagram takeover by celebrities and their own Crock-Pots? Or some “This is Us” branded Crock-Pot cooking tips that foodie blogs and pubs can post? 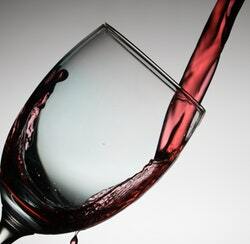 Much like the product itself, which inspires endless recipes, the PR possibilities are innumerable.